They all look like normal Europeans except Antony Grdic. Is he fully Croatian? 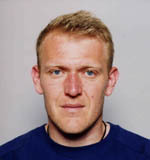 Robert Prosinecki is very blond and Nordid. Looks like a tough guy. 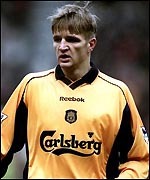 I think that Prosinecki is actually Slovenian, not a Croat...right? 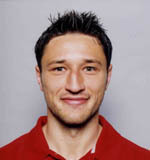 Niko Kovac got a strong Turanid strain . Do you think the nose is natural or did he hit it somewhere? That is news to me. 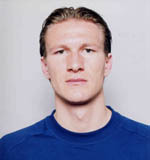 He played in Slovenia recently (or still does), but other than that I do not know about any Slovenian roots of his. Was he not born in Germany? Is he fully Croat? He looks a bit out of place, yes, but Turanid? He has a look that is common in Turkey, but with Turanid I usually associate something else (like the appearance of some Hungarians). I guess his "odd" traits can not be explained by Turanid alone. I noticed that, too. If he were part German, he would play for Germany, I assume. His look is common in Croatia.